This is the promised follow-up to Rendering a Screen Covering Triangle in OpenGL (with no buffers), except this time the goal is to write a shader that accesses every location in a 3d texture (volume). We use the same screen covering trick as before to draw a triangle to cover a viewport match to the X and Y dimensions of the volume, and we use instanced rendering to draw repeated triangles for each layer in the Z-dimension. The vertex shader looks the same as before with the addition of the instanceID. The fragment shader can then recover the voxel coordinates from gl_FragCoord and the instanceID. 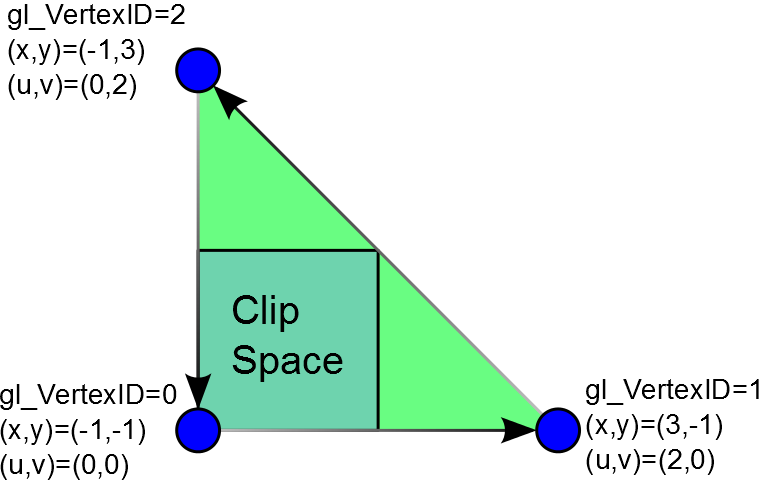 Very similar to drawing the single screen covering triangle, we set our viewport to the XY-dimensions of the volume, bind a junk VAO to make certain graphics drivers happy, and call glDrawArraysInstanced with the Z-dimension of the volume, so that we draw a triangle per-slice of the volume. This can be useful for quickly processing a volume. Initially, I used this as an OpenGL 4.2 fallback (instead of compute shaders) so that I could still use the NSight debugger, until I realized this approach was actually outperforming the compute shader. Of course, when to use compute shaders, and how to use them effectively deserves a post of its own. This one has been on the backlog for ages now. 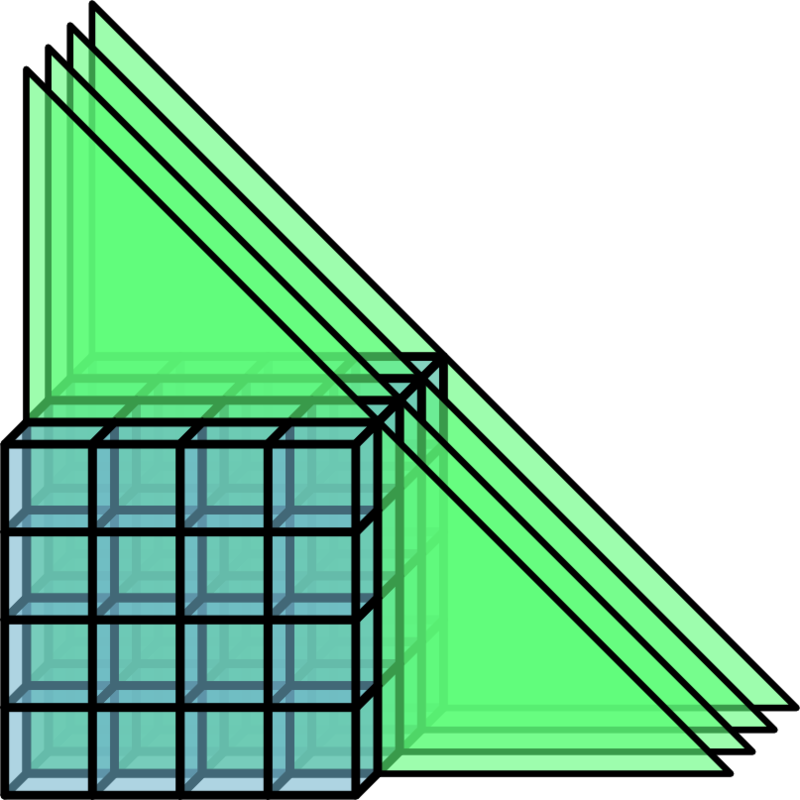 Anyway, this is an OpenGL adaptation of a clever trick that’s been around for quite awhile and described in DirectX terms by Cort Stratton (@postgoodism) in the “An interesting vertex shader trick” on #AltDevBlogADay.